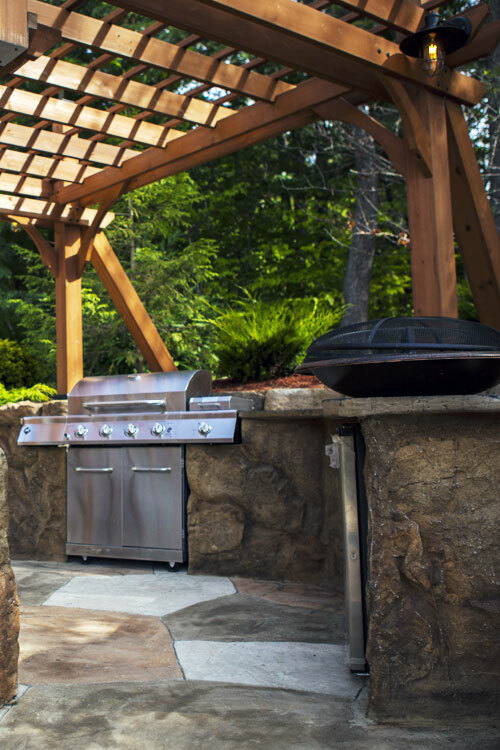 Outdoor kitchens continue to explode in popularity. The outdoor kitchen and bar provides a designated space for family members and guests alike to pull up a chair, eat a meal and stay a while—not to mention a prime place to interact with the chef or enjoy the scenery. 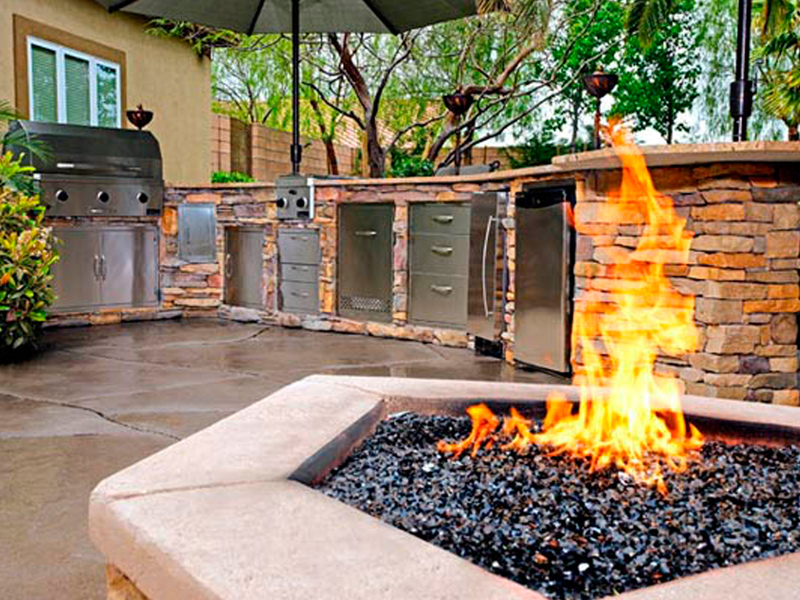 For a truly unique backyard living experience, All Phases Landscaping can custom design your new outdoor kitchen, bar and barbeque to meet your exact needs. 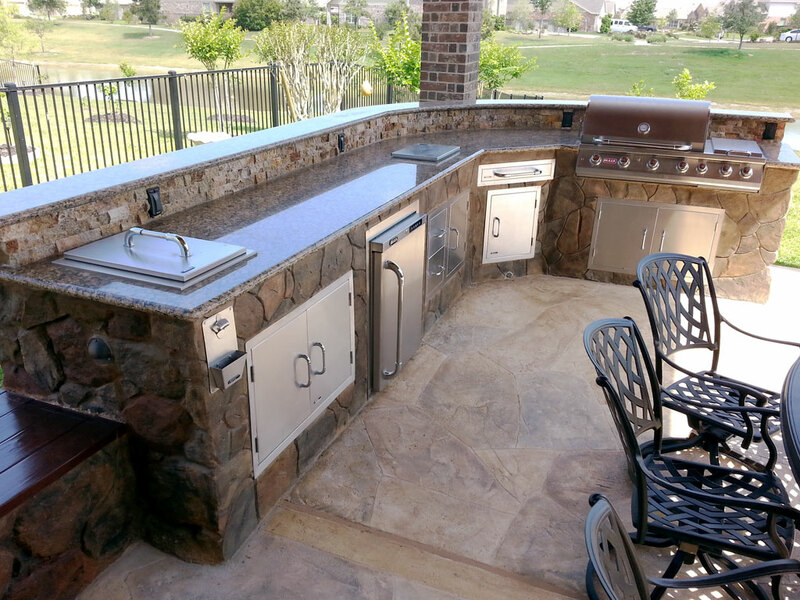 With our system, your outdoor kitchen can be built in a fraction of the time compared to traditional methods. 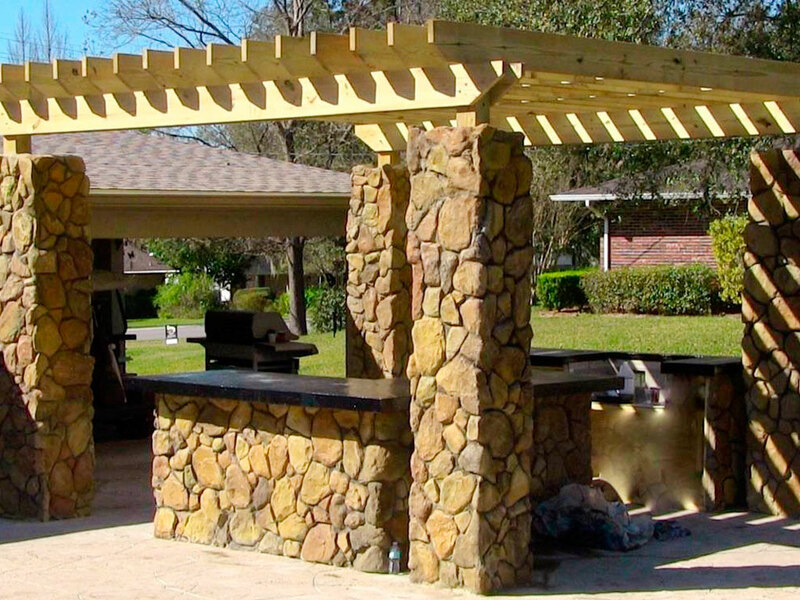 The stone panel construction is not only strong but durable and engineered for the outdoors and resistant to weather extremes. 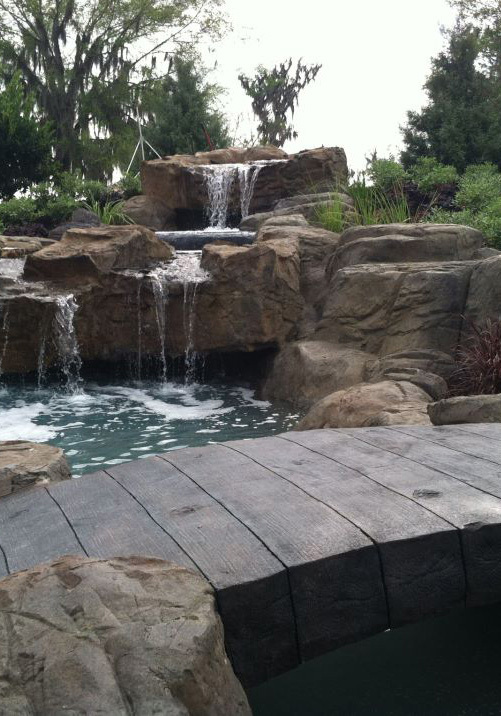 Enhance your outdoor living space with the soothing sound of water. 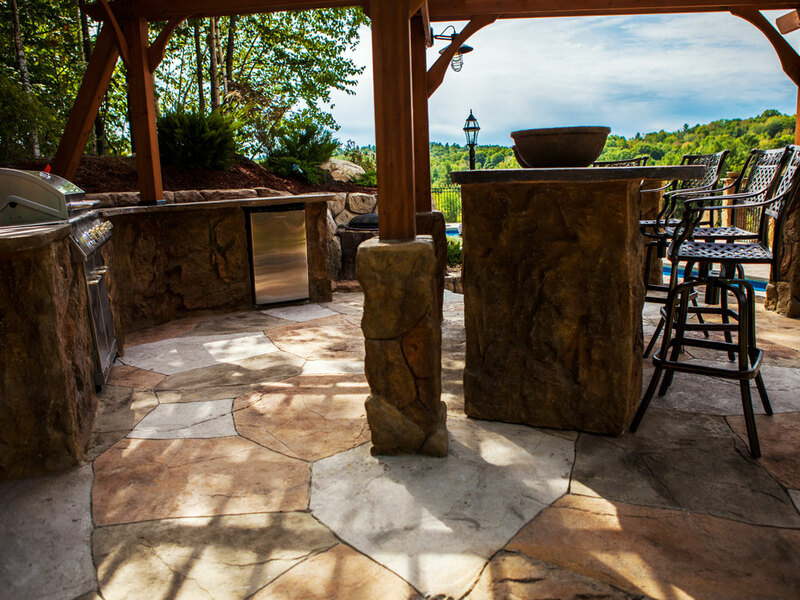 Most people think of outdoor grills, decks and patios when they think of outdoor living spaces but there is very little that can enhance the ambiance and value of your landscape more than a well-designed water feature. Now you can easily incorporate a water feature into your outside areas! 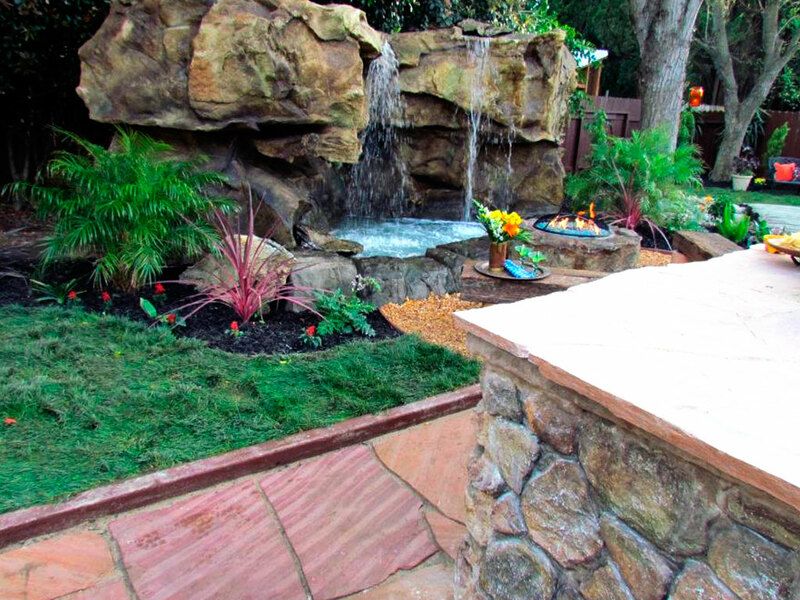 All Phases Landscaping can make your home or business a place of beauty from landscape water features and ponds to pool waterfalls and grottoes. 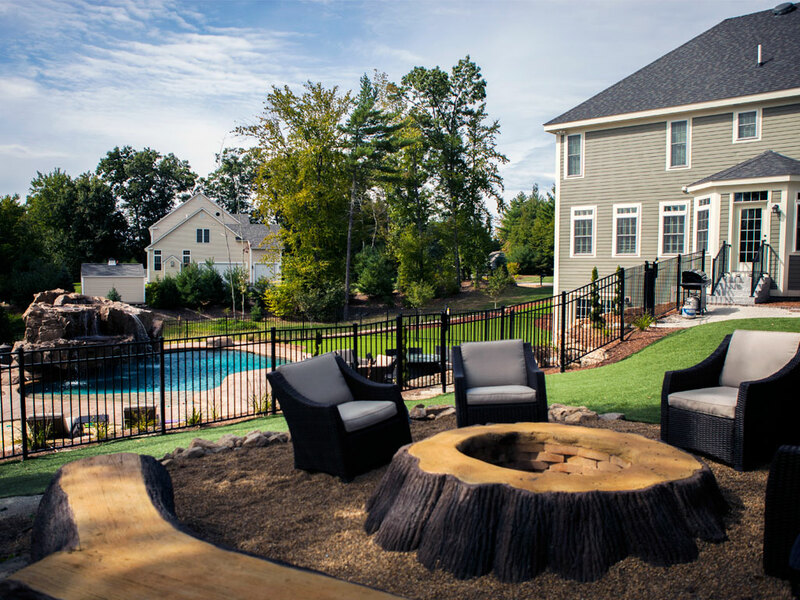 Our system is the most affordable way to transform your backyard into your own private oasis. 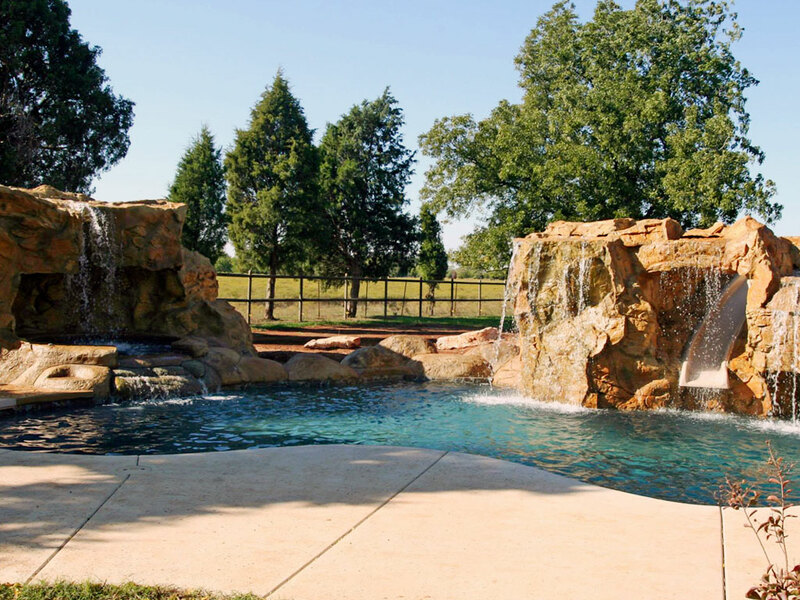 Liberate your imagination and let your dreams become a reality with All Phases Landscaping custom designed water features. 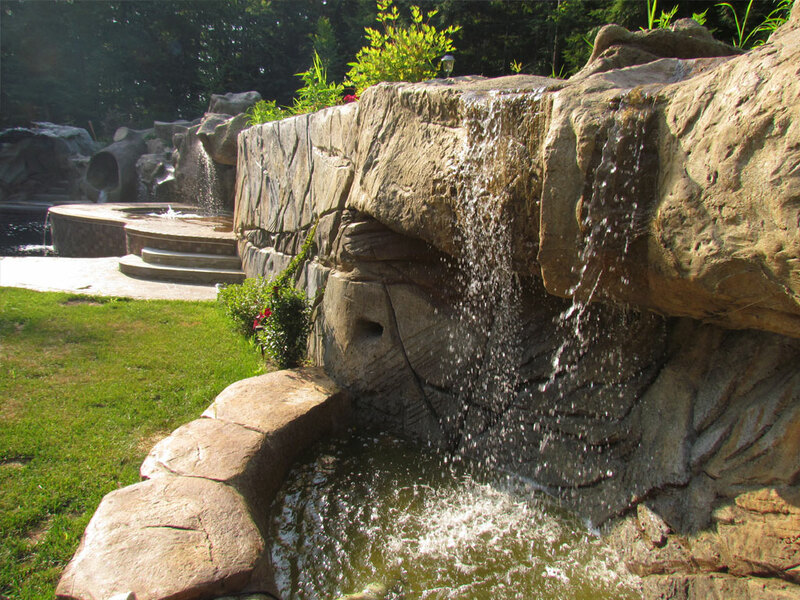 With our system, your water feature can be built in a fraction of the time compared to traditional methods. The stone panel construction is not only strong but durable and engineered for the outdoors and resistant to weather extremes. 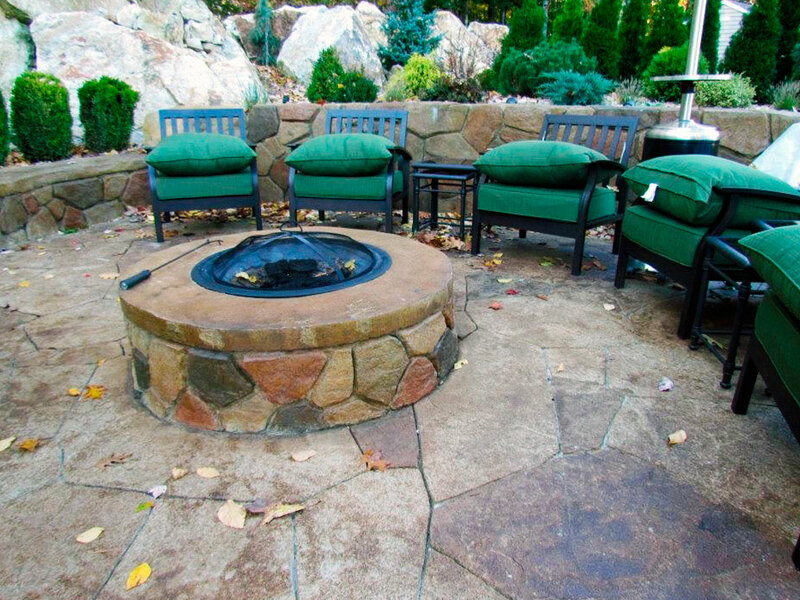 Outdoor fire pits add a warm, cozy glow to any outdoor space. 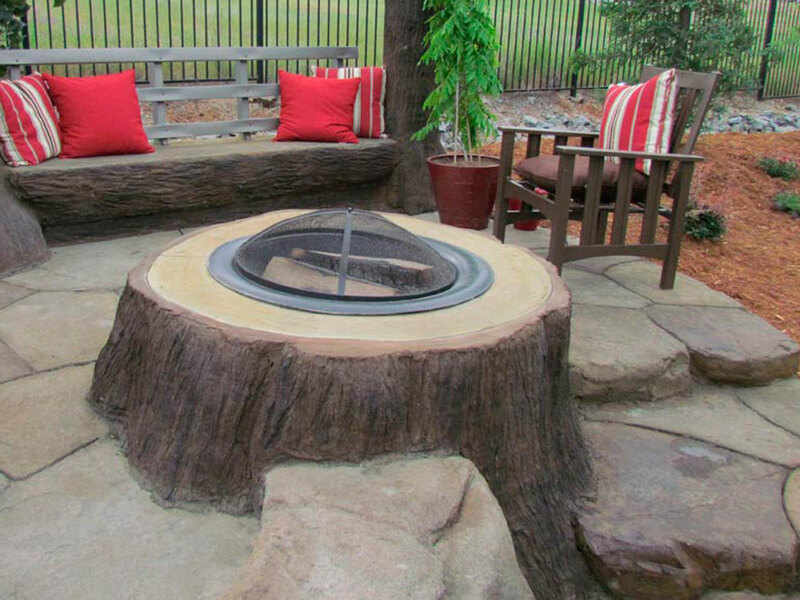 Whether you use traditional wood burning or gas, fireplaces are a perfect focal point to any outdoor living space. 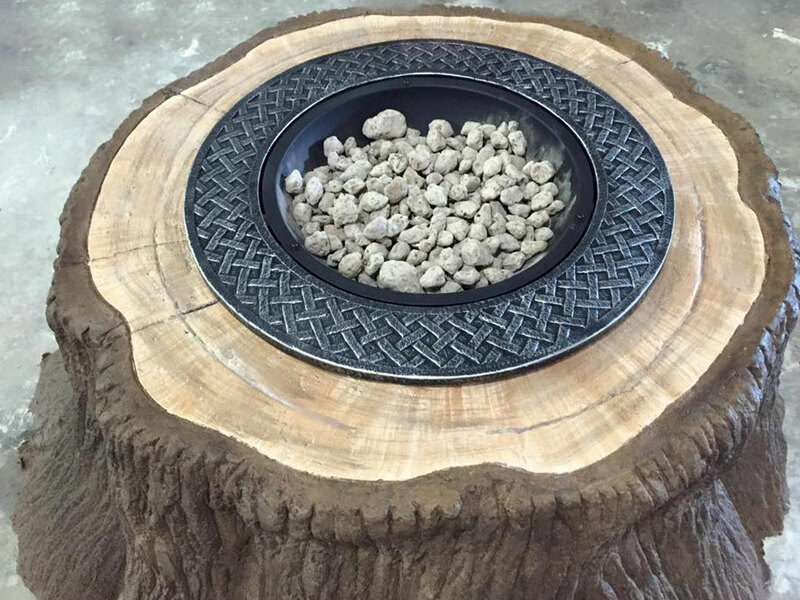 No matter the type of fuel you want for your custom fire pit, All Phases Landscaping can outfit yours with a traditional wood-burning insert, gas burner, or propane burning unit. 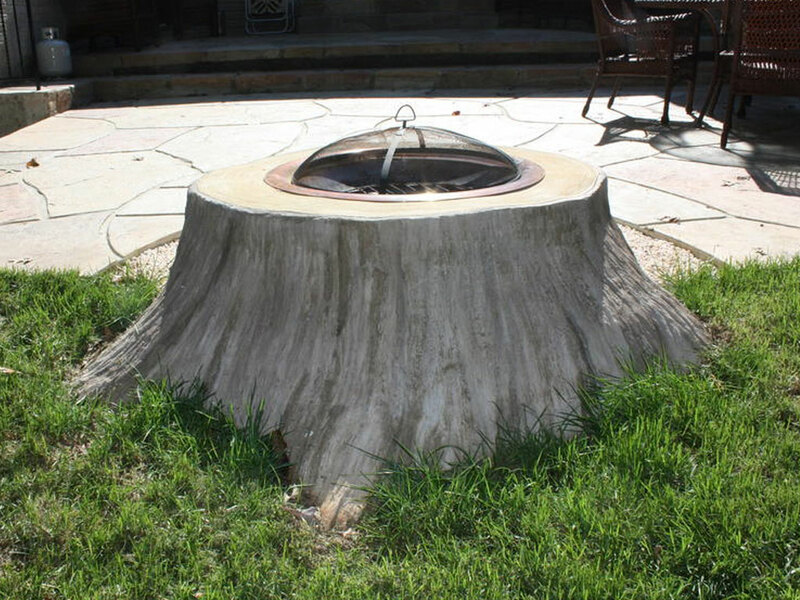 At All Phases Landscaping, we offer a multitude of styles including a customer favorite tree stump design, shown here. No matter the size or the shape we are able to custom design to your desire. 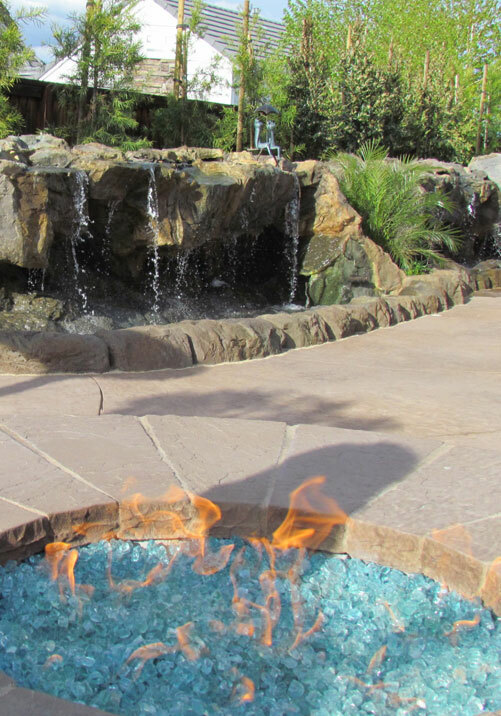 With our system, your outdoor fire pit can be built in a fraction of the time compared to traditional methods. The stone panel construction is not only strong but durable and engineered for the outdoors and resistant to weather extremes.